Those heading to Triple Force Friday on October 4, 2019, will have their first chance to pick up toys and other merchandise for Star Wars: Episode IX – The Rise of Skywalker this fall. 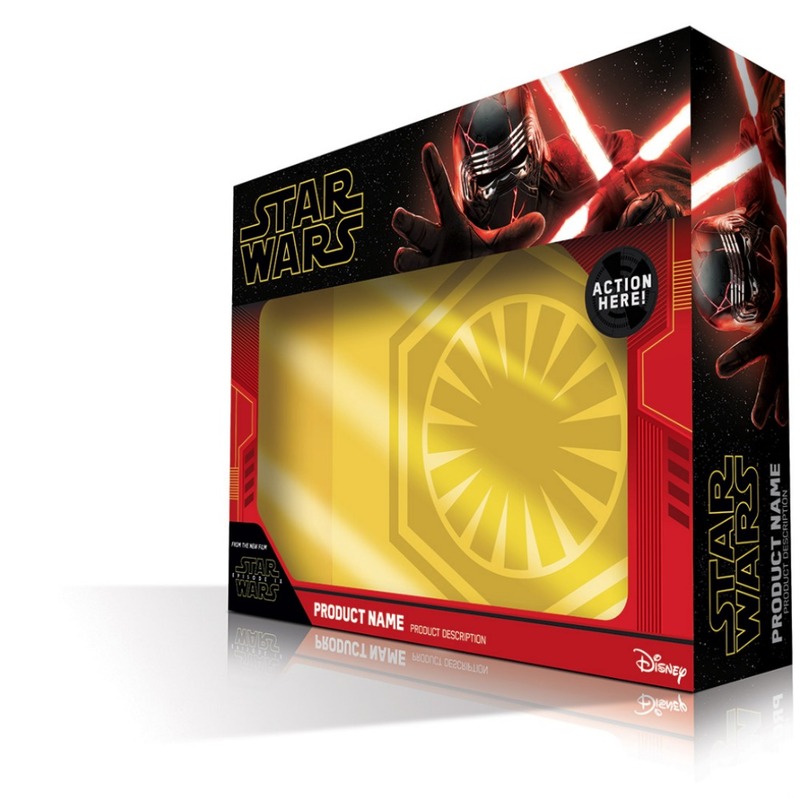 The packaging for the merchandise line was revealed today at Star War Celebration with a piece of box art. On the exhibition hall floor, attendees can have their photo taken in a life-size replica of the new packaging. The upcoming merchandise is linked to Episode IX, The Mandalorian, and Star Wars Jedi: Fallen Order.